Oregon faces plenty of questions this season, but none is more important than the health of wing Dillon Brooks. What’s up with Dillon Brooks? You may know Brooks as the player who sparked an exasperating controversy over the propriety of hoisting late-game three-point shots in garbage time, or the 6' 7" wing who ably led Oregon to 31 wins, Pac-12 regular season and conference tournament titles and the Elite Eight in 2015–16 before declaring for the NBA draft, only to elect to return for his junior season in Eugene. Either way, his presence is crucial to Oregon’s case as a Final Four contender entering 2016–17, and right now it’s not clear when he’ll be ready to suit up again. Brooks is out indefinitely because of a foot injury. According to a report from The Register-Guard in Eugene, he is not expected to be ready for the Ducks' opener on Nov. 11. While there’s no indication how long it will take for Brooks to rehabilitate the injury, he was sidelined for Oregon's trip to Spain. Brooks has logged two seasons under coach Dana Altman, so he shouldn’t have much trouble getting up to speed this fall. Still, spending part of an important summer period recovering instead of training—individually and with the team—isn’t ideal, particularly for a player who’ll be so pivotal to everything the Ducks accomplish this season. At his best, Brooks is an imposing, multi-positional force who can take over games. To live up to this ranking, Oregon needs him to be that for as many games as possible. Which new guys can help? Arguably no team received better news at the NBA draft withdrawal deadline than Oregon, which learned both Brooks and sophomore guard Tyler Dorsey would be back for at least one more season. But for as important as those two returnees will be to the Ducks in 2016–17, they should get a lot of help from a group of newcomers. In April Oregon signed Kavell Bigby-Williams, a 6' 10" forward who averaged 16.8 points and 13.6 rebounds in 36 games for Gillette College in Wyoming last season. If Bigby-Williams, who was named the NJCAA Division I Men’s Basketball Player of the Year in 2016, even comes close to producing at the rate of last year’s winner, Chris Boucher, this season, Oregon will have added one of the most impactful recruits in the country. 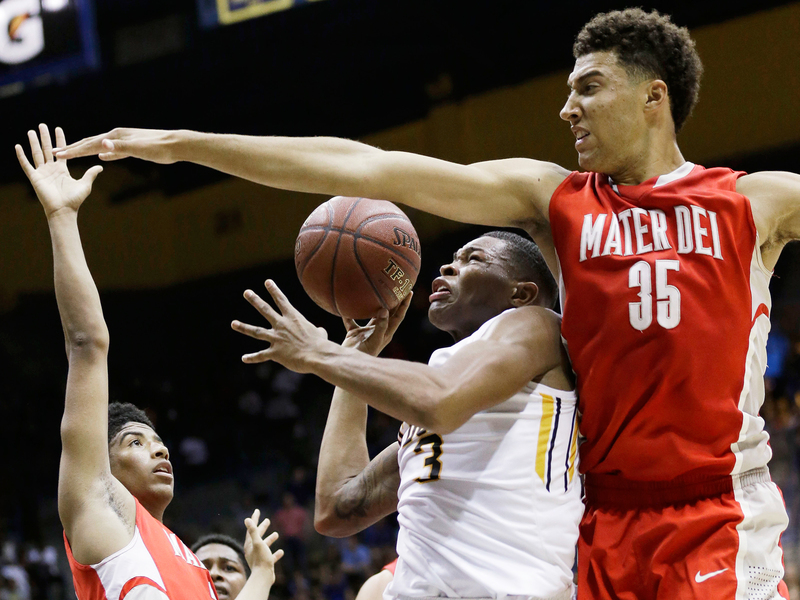 The Ducks also are bolstering their ranks with a crop of highly touted freshmen, including West Linn (Ore.) High four-star point guard Payton Pritchard, Mater Dei (Calif.) High four-star center M.J. Cage and Rainier Beach (Wash.) High four-star power forward Keith Smith. The latter two could get on the floor more often early in the season depending on Brooks’s timetable, but Pritchard should be ready to contribute if called upon—though the Ducks will have Villanova graduate transfer point guard Dylan Ennis eligible after he sat out last year nursing a broken foot (to say nothing of returning junior Casey Benson). Is Oregon the best team in the Pac-12? It wouldn’t be unreasonable to argue Arizona—by virtue of a potent mix of returning firepower and recruiting talent under the charge of a shrewd coach with a strong track record—could give Oregon a run for its money in the Pac-12 this season. The Wildcats should be awesome, and they could eclipse their No. 9 off-season Power Rankings slot if the freshmen arrive as good as advertised. But there’s a stronger case for the Ducks as the conference’s best team. Brooks, provided he’s healthy, and Boucher project as two of the nation’s best players at their respective positions, A-listers who’ll be household names (and, likely, popular inclusions on mock drafts) by the start of the NCAA tournament. Dorsey showed potential as a perimeter scorer last season, and he’ll make the Ducks even tougher to guard if he can maintain or eclipse the 40% three-point shooting he provided as a freshmen. Ennis, Benson and Pritchard give Oregon stability at point guard, and the Ducks should be set up front with Bigby-Williams, Boucher and 6' 9" junior Jordan Bell—the latter two of whom ranked among the Pac-12’s top three shot blockers last season during conference play, according to kenpom.com. This should be the best team of coach Dana Altman’s tenure to date; it’ll feel like a mild disappointment if the Ducks fail to advance past where they finished last season.